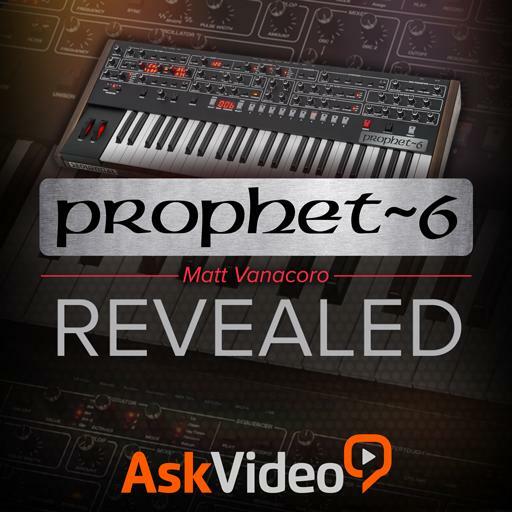 Prophet 6 101 - Prophet 6 Revealed. Which effect engine has the reverb effects? The Sub Oscillator utilises what kind of waveform? How many voices can be ‘stacked’ in unison mode? Which parameter should you adjust to set how fast the sound rises from its initial played note? To save a program, simply press the save button twice. True or false? The hold function only has a retrig mode: True or False? How many presets are available for user storage? To get that ‘wet’ funky synth sound, a filter envelope applied with a faster attack will help. True or false? The Prophet 6 has no 'MIDI Thru' port. True or False? What type of MIDI data does the Prophet output when it exports its soundbanks? Pulse Width only has an effect on the pulse waveform. True or False? If the Env Amount knob is not turned up, the filter will be fixed and in place for the duration of the sound. True or false? How do you create a new basic preset? The Prophet 6 has ...... dedicated LFO(s) (not including VCO2). You can route polymod to multiple destinations. True or false? PolyMod can get you into the realm of Frequency Modulation (FM). True or False? How are the effects routed? How many rows of global settings are there? What kind of pedal should be used for triggering the sequencer? The trainer recommends utilising __________ to round/smooth out the edges of sharp and/or stabby sounds? All elements of a step sequence must be played consecutively with no rests. True or false? What happens if you hit the 'Global' button three times?